Whether you’re hoping to avoid working with real estate agents or just want a fast sale on your home, Purple Mountain Holdings should be your go-to buyer. 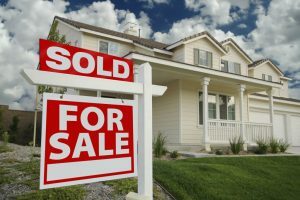 When selling a home in Peyton, CO, you likely want money fast and with an ever-changing market, money is never a guarantee. With us, it is! Have you ever wanted to sell your house for cash? Many of us dream of selling our current property and upgrading, or perhaps moving away from the area for a time. Whatever the case, selling your house in Peyton, CO, has never been easier than it is today. When the time has come to sell, pick up the phone and give us a call. We do not charge any commissions, closing costs, or fees. The money we offer for your house is completely yours to keep. Furthermore, we pay in cash for your property in its current condition. That’s right! We’ll offer you cash for your home. We are a locally-owned investment company seeking new opportunities within the housing market right now. As such, we can schedule a meeting on your time, then close in under 24 hours. We’ll use multiple factors to determine a proper price point for your property. Then, we’ll deposit the cash in your bank account and complete all paperwork. It’s that easy! When we work with homeowners to purchase a house in Peyton, CO, we look past its current condition. Chances are, if you’re looking to sell, you want the most money possible. It doesn’t make sense to pay for extensive repairs and full-room renovations, does it? That is a lot of money down the drain, with only a small chance of seeing a return during the sale. Instead of paying out of pocket for repairs, cleaning, and renovations, put money in your pocket by calling our offices. We do not require you to complete any costly repairs. You do not need to paint the walls, replace old carpeting, or dust the attic. Our contractors will handle such work after the sale. You see, we are in the business of helping homeowners. We want to make you a cash offer for your property in its current condition today! At one point, Peyton had just 50 citizens. Farming and coal mining were the primary occupations in the region. After a devastating fire, the town rebuilt. We came back stronger than ever, and now our quaint village is thriving! With land and views galore, Peyton is close enough for convenience, but far enough to enjoy the peace and quiet of the idyllic Colorado lifestyle. Would you like to sell your home in Peyton, CO for a fair price? Contact Purple Mountain Holdings by calling (719) 476-2727. With just one phone call, you can sell your home quickly and for cash! We serve entire Peyton, CO 80831.